The occupants violated the armistice five times today. 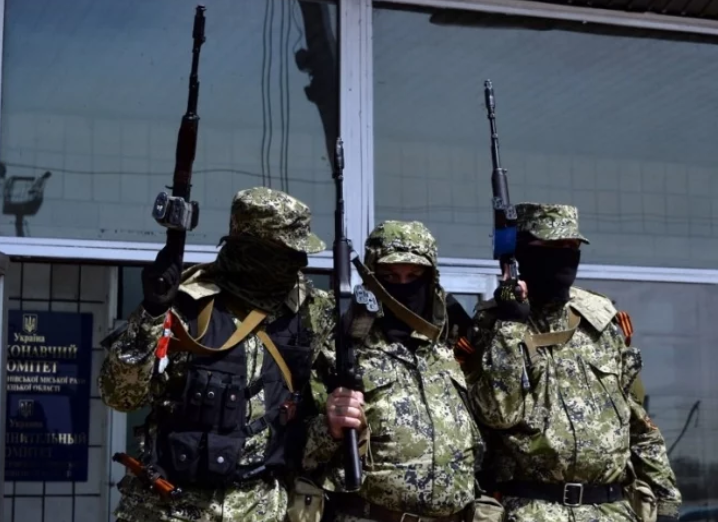 The Russia-backed militants fired with mortar, grenade launchers, and machine guns. Dmytro Hutsuliak, the spokesman of the Ministry of Defence of Ukraine concerning the JFO, stated this during the session, as the press service of the Ministry reports. “At 1:20 AM, the enemy launched mortar shelling of defenders of Zaytseve, they used 20 shells of 120 mm caliber. Besides, 120 mm mortar they used near Pavlopil approximately at 7:00 AM. The occupants used 7 shells here. The Russian-backed militants opened fire near Shyrokino, Starohnativka, and Opytne,” the report said. No casualties have been spotted. Earlier, the Pro-Kremlin militants violated the ceasefire regime 19 times in the Donbas-conflict zone. They used the Minsk-banned weaponry 16 times. One Ukrainian soldier died, and four more were wounded, as a result of the attack at the Joint Forces operation. The Russia-backed militants fired at the positions of the Joint Forces operation with artillery system, mortar, infantry fighting vehicle, grenade launchers, heavy machine guns, and small arms.